The Kentia Apartments are surrounded by stunning gardens and with luxurious accommodation, this 4-star resort offers guest a holiday to remember. Ideally located in the town of Side, there are sandy beaches and ancient ruins well within reach and with plenty of activities and attractions in the area, guests can find all that they want right here. There is an outdoor pool, in-house restaurant and entertainment as well as an array of restaurants, bars and shops in the area. 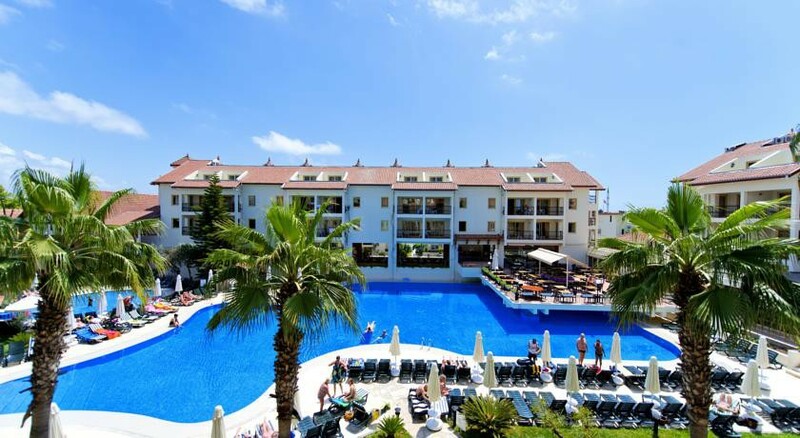 The Kentia Apartments are sure to give couples and families all that they need from a holiday. The hotel is located within close distance to the beach enabling guests to swim in the sea and relax on the golden sands. The area is filled with history and amazing sights making it the perfect place for those who like to explore. There are cafes, restaurants, bars and shops in the area that cater for all enabling guests to sample great coffee and purchase many Turkish Handicrafts. There is an Aquapark just a few miles away providing guests with the chance to get their adrenaline fix if that is what they are looking for. The hotel is 65km from Antalya Airport. Guests can take their pick from one of the 70 apartment or 10 hotel rooms on offer. The rooms are beautifully designed with subtle colours, white walls and tiled floors create a feeling of space and comfort. Rooms come with air-conditioning, private bathroom, TV, minibar and balcony with views over the pool and stunning gardens. The open buffet restaurant in the hotel offers delicious cuisine including Turkish dishes and meals from around the world. Guests can dine inside in the large and lavish dining room or they can choose to eat outside under the clear night sky. There are three bars available including the pool bar, snack bar and winter bar, where guests can enjoy refreshing beverages and snacks throughout the day and into the night. Outside of the complex, there are many restaurants available to choose from ensuring that all guests can find something that excites their taste buds. 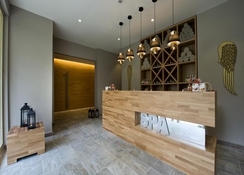 The complex provides guests with the chance to explore the spa and wellness centres where they can sample beauty treatments and Turkish baths. The outdoor pool surrounded by sun terraces and gardens is the perfect place to relax and take it easy while kids can try out the mini club or kids’ pool with water slides. There is a games room and entertainment in the evening that includes live music and shows. Guests can also head to one of the many local beaches where they can also try their hand at water sports including jet skiing and banana boating. Love it here, lovely friendly staff nothing is too much trouble for them. As a really fussy eater I was impressed with the food on offer even 8 managed to have a varied diet the whole of my time here. I do think they need to be more consistent with the drink measures and pouring the drinks. This hotel and the staff are absolutely outstanding. The entertainment is great for all ages, would go back here in a heart beat. The hotel was really nice, apartment was a good size clean and tidy, really nice pool with lots of space to seat around. Really nice Turkish massage On site. Location was good about 15 min walk to beach and shops etc. Good apartment, great staff but food a bit of a let down! Apartments were extremely clean, and the staff were very helpful and accommodating. The only thing that let the place down was the poor choice of food- it was very Tailored to Eastern European taste and meant that it was a struggle being all inclusive for two weeks as a British customer. Apart from that the entertainment staff completely made our holiday and we would definitely go back!